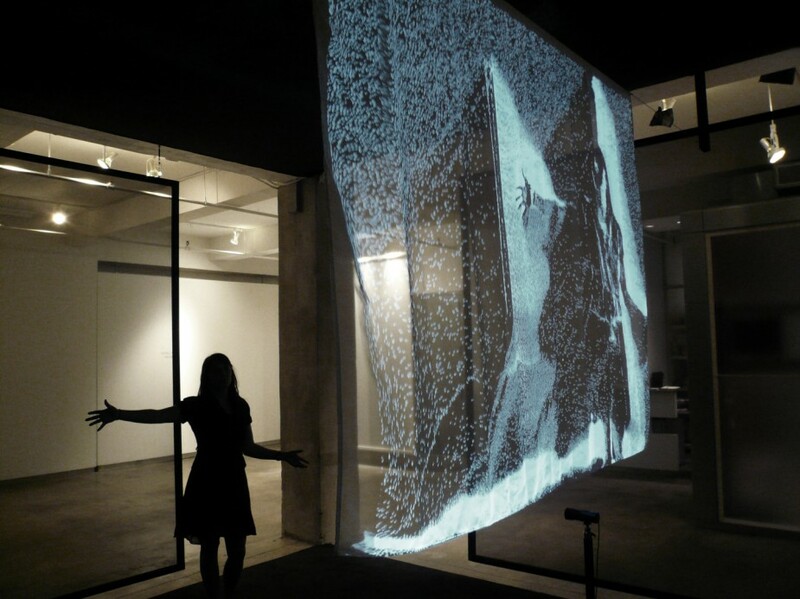 Snow Mirror, 2006 (Silk, projector, video camera, custom software, computer, black box environment. Dimensions variable) Edition of 6. Photo by John Berens. 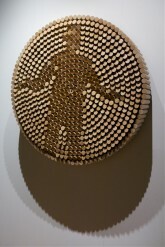 Peg Mirror, 2007. (650 wooden dowels, 650 motors, video camera, control electronics. 42” x 42” x 6”) Edition of 10. 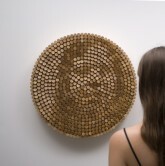 Images courtesy of Bitforms Gallery, NYC. Daniel Rozin was born in Jerusalem in 1961. Based in New York, Rozin creates interactive installations and sculptures that have the unique ability to change and respond to the presence of a viewer. 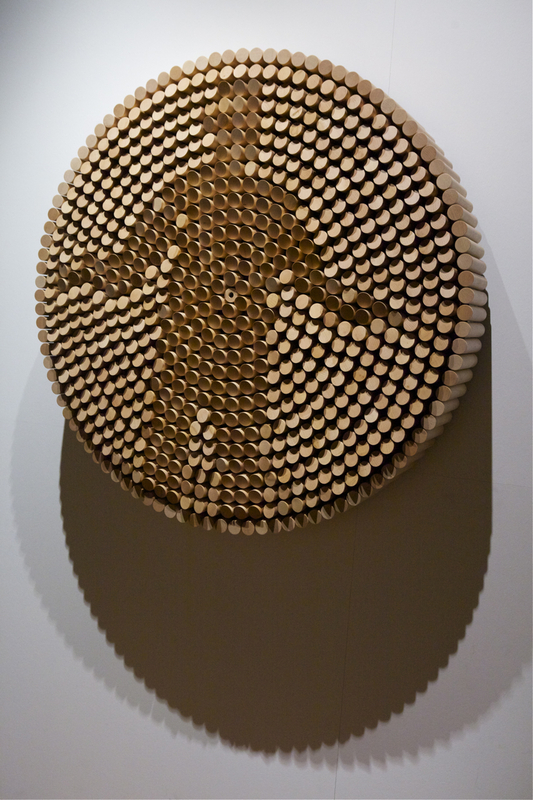 In many of his works, the viewer takes part, actively and creatively, in the performance of his art. With Snow Mirror (2006) Rozin presents us with an image of ourselves, transformed by the digital magic of computer programming. Projected onto suspended fabric, a likeness of the viewer is formed by an accumulation of white snowflakes which cling to the bright areas of the image. The pace is slow and dreamlike. 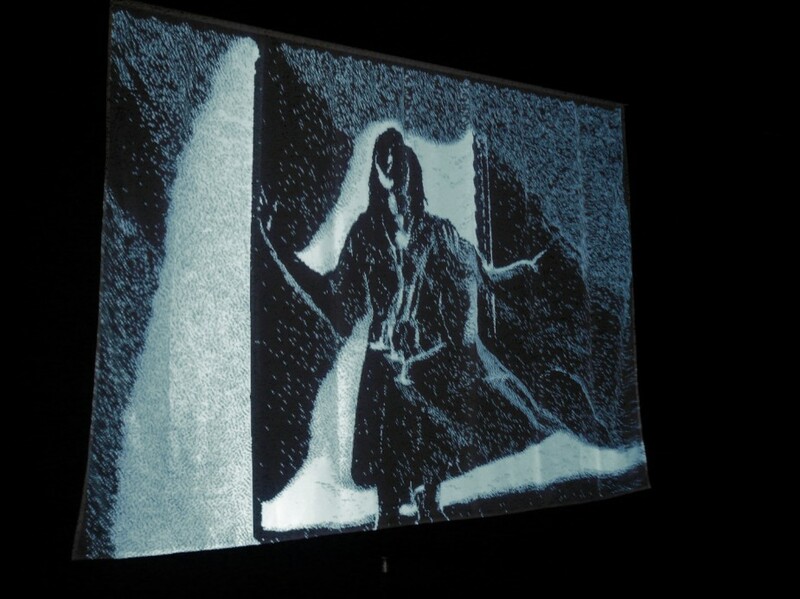 As shadows form within the flutter of snow, the viewer becomes a transparent spectre of themselves, transported by a combination of video, computer and projector.